The exchange of e-mail and IP-based information is vital for the successful planning and execution of military operations. The exchange of e-mail and IP-based information is vital for the successful planning and execution of military operations. Interoperable data exchange within joint and allied forces over long-distance HF radio networks is essential, especially if communications via other infrastructures such as satellites is unavailable, too expensive or vulnerable. R&S®STANAG 5066 is the leading NATO radio protocol for HF data communications. The standard is widely accepted and used by the forces of NATO, PfP (partnership for peace) and other nations around the globe. R&S®STANAG 5066 is a communications solution for the robust and highly secure exchange of data using HF radio networks in line with R&S®STANAG 5066. 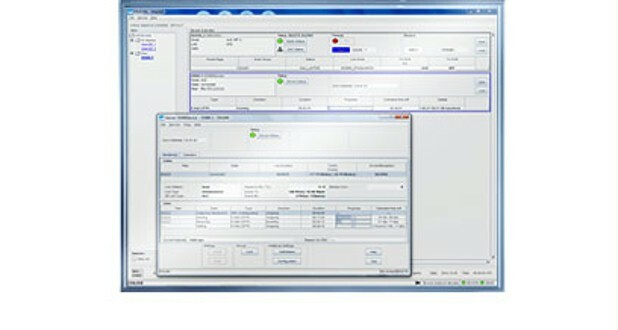 R&S®STANAG 5066 supports data exchange via e-mail, chat, fax and IP-based applications. It provides extensive remote control capabilities for radios from Rohde & Schwarz. A unique red/black separation technique using crypto devices and trusted filters satisfies the highest security demands. Interoperability with the widely used ACP 127 legacy message handling system is supported by means of a gateway. R&S®STANAG 5066 is important component of the R&S®MMHS military message handling system. Together with the R&S®SIMCOS II signal management and control system, it forms a fully integrated communications system. R&S®STANAG 5066 is deployed in a variety of customer systems where it has proven its standard-conforming data exchange capability. Interoperability with other R&S®STANAG 5066 systems has also been demonstrated during international HF radio trials.